Breakfast that included eggs and bacon during the last three months of their term may have a positive impact on their baby's developing brain. Dear mothers-to be you may want to hear this out. Enough has been said about the importance of breakfast during pregnancy, but according to a latest study eating a fry-ups for breakfast could increase a babies' IQ .According to the study published in the Journal of the Federation of American Societies for Experimental Biology, mothers who consumed breakfast that included eggs and bacon during the last three months of their term may positively impact on their baby's developing brain. These mothers performed better in the test as compared to those who did not have eggs and bacon as part of their breakfast. This could be because both foods are rich in a nutrient called choline, which is vital during pregnancy, said the researchers. Most women do not consume enough of choline noted the researchers. In previous animal studies, increased levels of choline and its impact in IQ has been tested and proved. This time around the same was proven for humas. 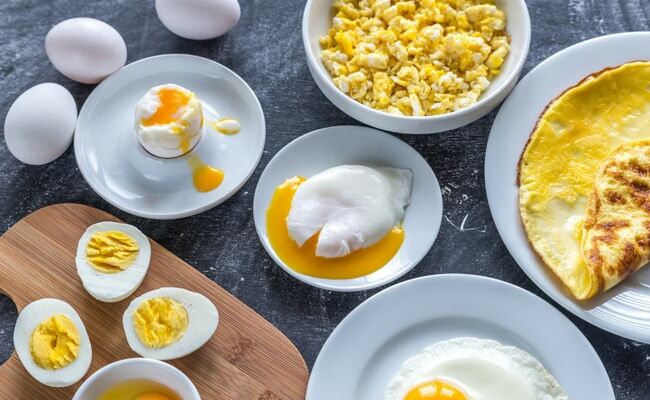 For the study, 26 participants were divided into two groups, half the women received 480mg/day of choline, slightly more than the adequate intake level of 450mg/day, and the other 930mg. Researchers then tested information processing speed and visuo-spatial memory at four, seven, 10 and 13 months of age. The scientists analysed how long each baby took to look towards an image on the periphery of a computer screen, a measure of the time it takes for a cue to produce a motor response. This test has been shown to have a correlation in assessing IQ. If consuming a fry-up right in the morning may no appeal to you due to morning sickness, then they can also include fish, chicken, milk, legumes, nuts and broccoli that are high in choline too.